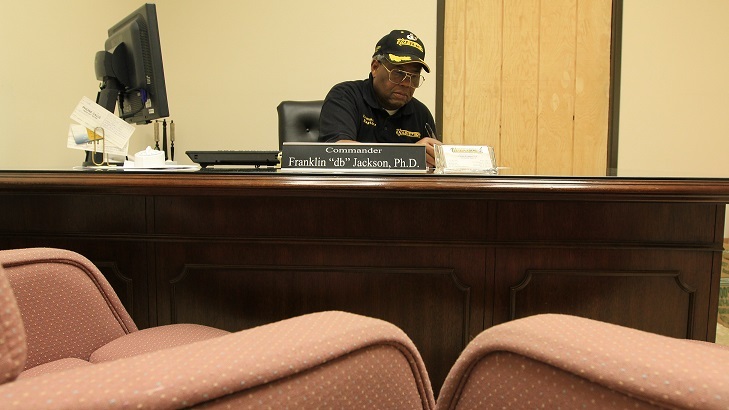 Biography – Dr. Franklin db Jackson, Sr., Ph.D.
Dr. Franklin db Jackson, Sr. Retired from the United States Army after serving worldwide for over twenty-two years of active military duty having served in many leadership positions. Franklin always worked extremely hard to leave his assignments better than he found them by utilizing firmness, fairness, honesty, clear and strong ethics. 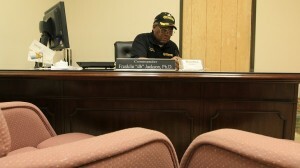 Dr. Jackson serving as a 1. United States Army, trained at the Pentagon, Supervisory Inspector General, Franklin providing responsive complaint investigations; an avenue for fraud, waste and abuse reporting; responding to congressional inquiries; and provided general assistance to thousands of military families with objectivity, integrity and impartiality. 2. Military and Civilian personnel supervisor. 3. Commander US Military recruiting Station. 4. Combat leader while serving in the Republic of Vietnam. 5. Dry Land Farmer horse creek ranch’s Colorado. 6. US Equal Employment Opportunity Commission Investigator and Conciliator. 7. US Department of Housing and Urban Development Monitored and provided technical assistance and economic development advice to Mayor and Governors through region 8 a six state region. 8. Provided formal presentation to Governors, Mayors Senior Officers and Board of directors of large institutions, cities and states. Boards and Commissions 1. Colorado Board of Veteran Affairs nominated by Governor Ritter and ratified by the Colorado State Senate – past. 2. Colorado Board of Veteran Affairs nominated by Governor Hickenlooper and ratified by the State Senate – Present 3. Denver Community Corrections Board nominated by Mayor Webb and ratified by Denver City Council 4.The American Veterans Education Foundation – Board Member 5. The MIRECC Advisory Board Advisory Board (Mental Illness Research Education and clinical for suicide prevention – past board member 6. University of Colorado at Manual High School – Past Board Member (many of our pupils became lawyers, doctors, mayors, professors, cpa’s etc. Life member, an officer or past officer in the 1. USNDCorps Commanding General 2. NAACP Veteran Affairs, 3 Kappa Alpha Psi Fraternity Committee Man 4. DAV Past Secretary and Past Treasurer. 5.VFW Past Vice Commander Chapter 3481, 6. Vietnam Veterans of America member 7. National Association of County Veteran Service Officers Inc. member 8. National Association for Black Veterans, Regional Commander, State Commander and Commander of the Franklin db Jackson Chapter 0024. 9. Masonic Order – Grand Inspector General at the 33 degree. 10. Dr. Franklin db and Mrs. Margie P Jackson in Perpetuity endowment fund at the University of Denver for Veterans, specifically Black Veterans and Members of the Kappa Alpha Psi Fraternity for Freshman through JD, MD, or any degree. Donor and Representative. 11. Joseph Elliot & Top Hatters in Perpetuity endowment fund for all Freshmen at the University of Denver with special emphasis on Black Freshmen Donor and Representative. Assistant Adjutant – Dr. Marilyn Richardson-Lewis, Ph.D.
Financial Officer – Mr. Claude W. Gray Sr.